As a homeowner you can spend hours on your hands and knees trying to remove the dirt, grime and filth out of your stone or tile surfaces throughout your home. Save your time, energy and most importantly your back and leave it to the professionals here at Bestway Carppet & Tile for all your residential tile & grout cleaning services in New Jersey. 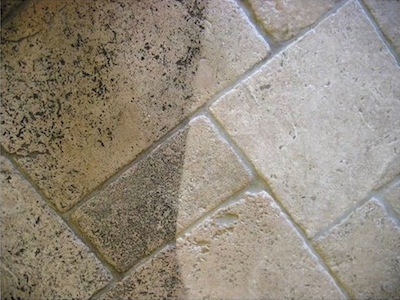 Absorbent grout, tile and even stone can act like a magnet for dirt, dust, pollen and any other particles that might be brought in from the outdoors. As these items build up in your tile and grout surfaces, they can easily become a breeding ground for different types of bacteria. Here at Bestway we use specialized tile & grout cleaning solutions and powerful state of the art equipment to remove all of these negatives items from all your tile, stone & grout covering surfaces. Bestway can blast that dirt and grime away not only giving those surfaces a sparkling clean look, but also extending its life. We make sure that your bathrooms, kitchens, walls or any other tile or stone surface is professionally cleaned by our highly trained technicians. Its important that you have these surfaces cleaned every 12-18 months to ensure that they will be long-lasting and it will also greatly reduce the amount of effort it takes to keep your home as beautiful as new. If you’d like to safeguard the health of your family, the beauty of your home, Contact Bestway Carpet & Tile Cleaning today!